The Most Wanted Crew : Behind The Hype: 1/2 OFF SOME OF THE DOPEST APPAREL AROUND? UM, YES PLEASE! 1/2 OFF SOME OF THE DOPEST APPAREL AROUND? UM, YES PLEASE! 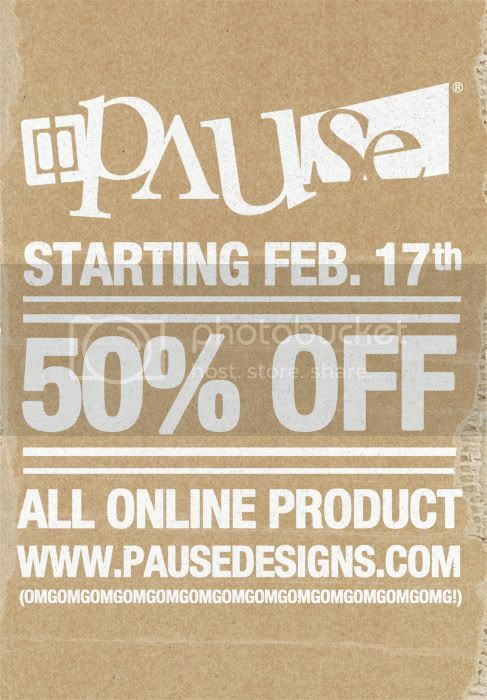 Starting February 17th, the staff over at Pause Designs are officially going off their meds and will be selling all their shirts, hoodies, skate decks, and all kinds of out of print goodies for HALF OFF! Heck, depending how deep they've delved into insanity you might be able to get them to throw in their souls for a buck and a half! So, check below for some of the awesomeness that will be up for grabs and start digging between the folds of your couch cuz these are bound to sell out. 5 KILLS UNDER HIS BELT AND COUNTING. . .
2ND AND FINAL PREORDER THIS FRIDAY : SOLD OUT!